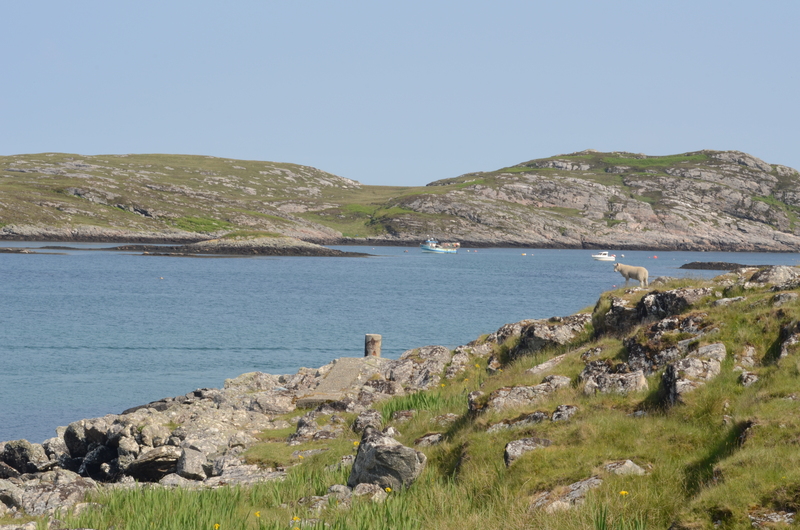 We just come back from a gig on the Isle of Coll! 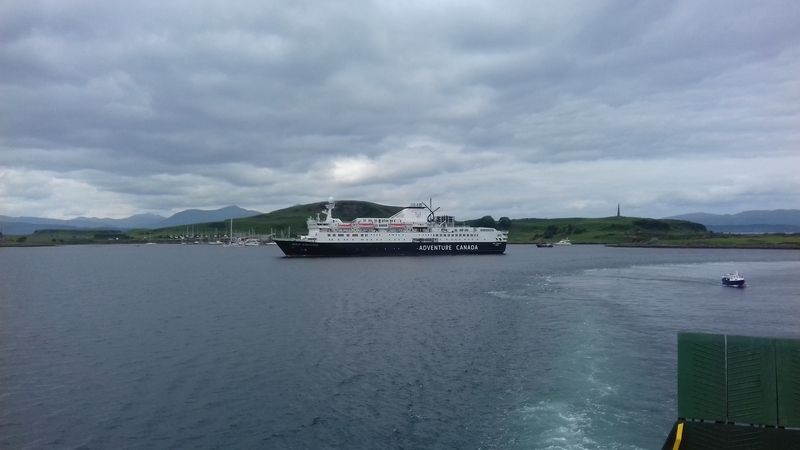 It is a small island in the Inner Hebrides of Scotland, west of the Isle of Mull, north east of Tyree and south of the islands of Eigg, Rum and Skye. 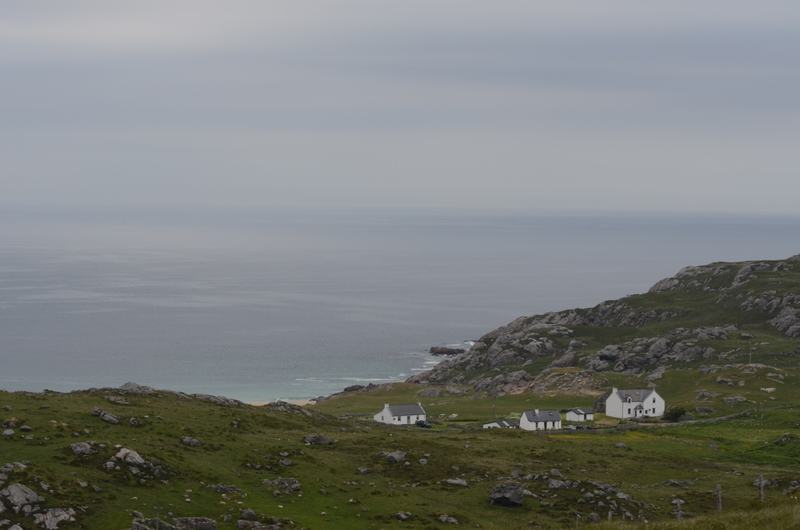 Coll is about 13 miles (20km) long and 3 miles (5km) wide, with a population of just under 200 people. 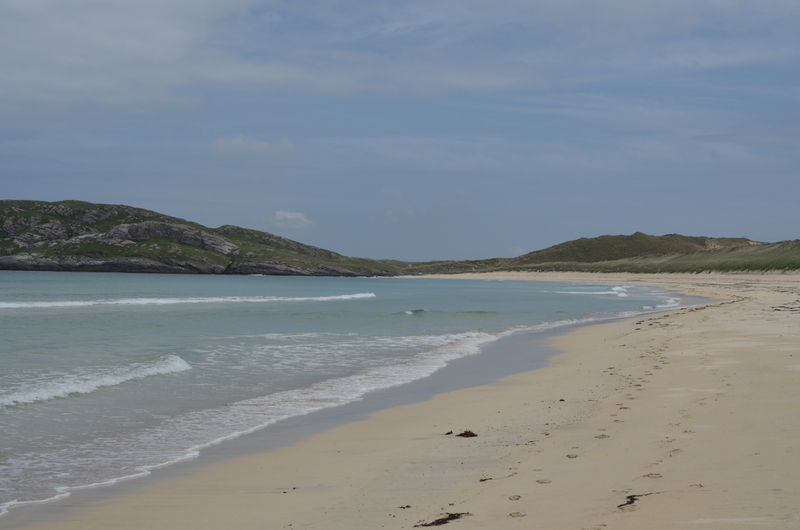 It has lots of amazing beaches – more than 25 of them! 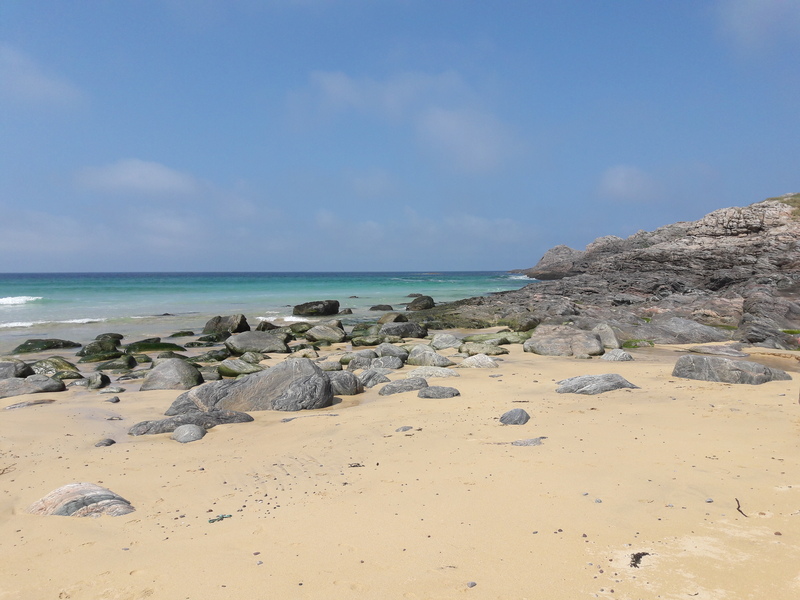 They are all beautiful, with turquoise blue sea……….and the best thing of all……they’re deserted! 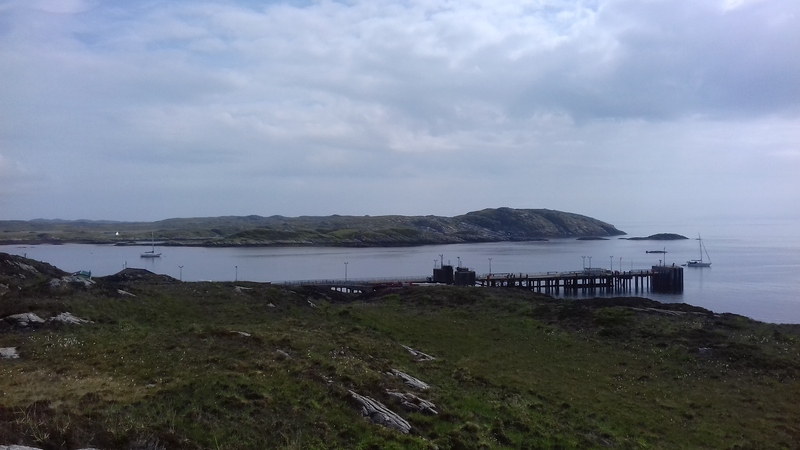 It is also know for its wildlife: Minke Whales, Basking Sharks, Dolphins, Sea Otters, Hares, Corncrakes, Waxwings, Herons, Skylarks, Cuckoos, Lapwings, Greenland White-fronted Geese, Barnacle Geese, Canada Geese, Snow Geese, Greylag Geese, Long-tailed Ducks, Wheatears, Red Shanks, Oyster Catchers and many, many more. 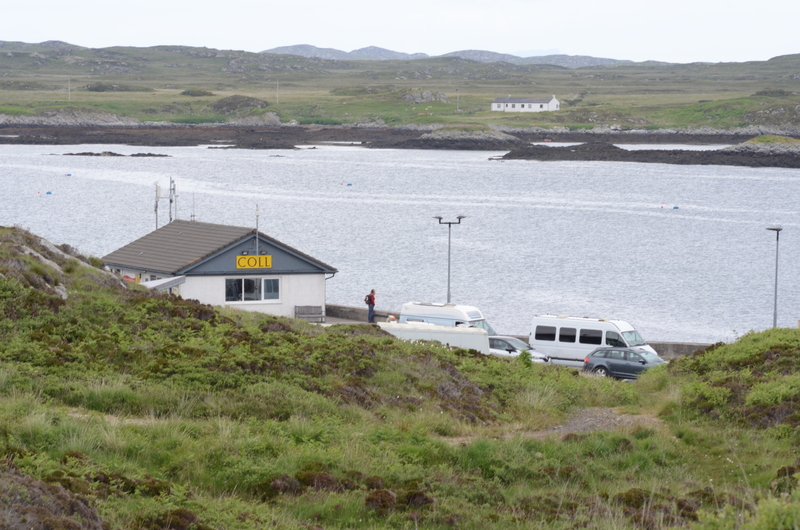 Its “capital” is Arinagour, where the ferry arrives and departs. 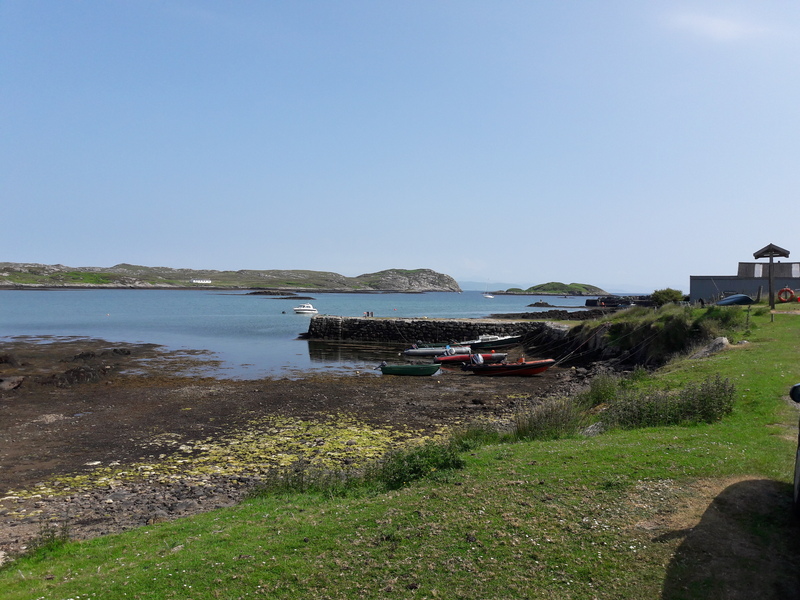 We were on Coll for just 4 days and were serenaded continuously by Skylarks and Cuckoos, and in 2 or 3 locations the distinctive sound of one of the rarest birds in Britain – the Corncrake. 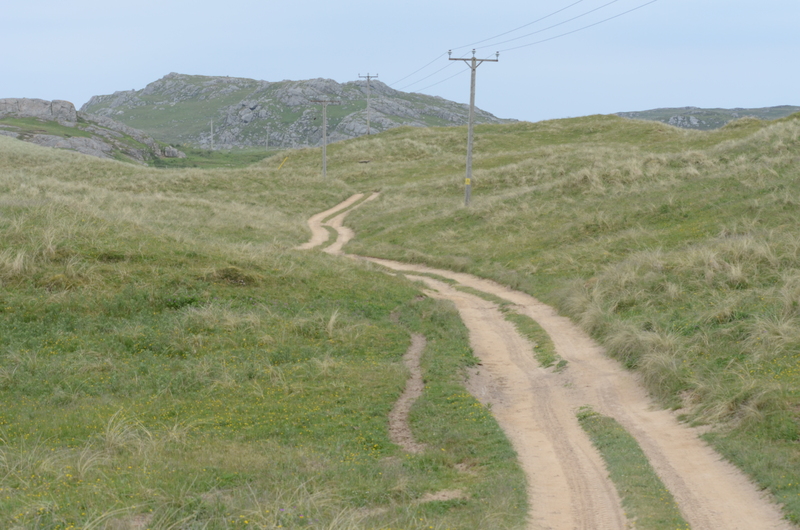 All over Coll there is the Machair. 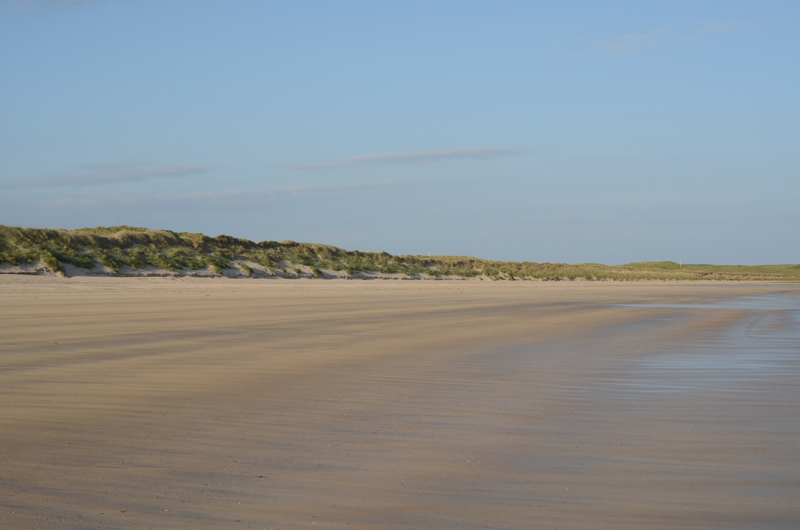 Machair is a Gaelic word meaning fertile coastal grassland. 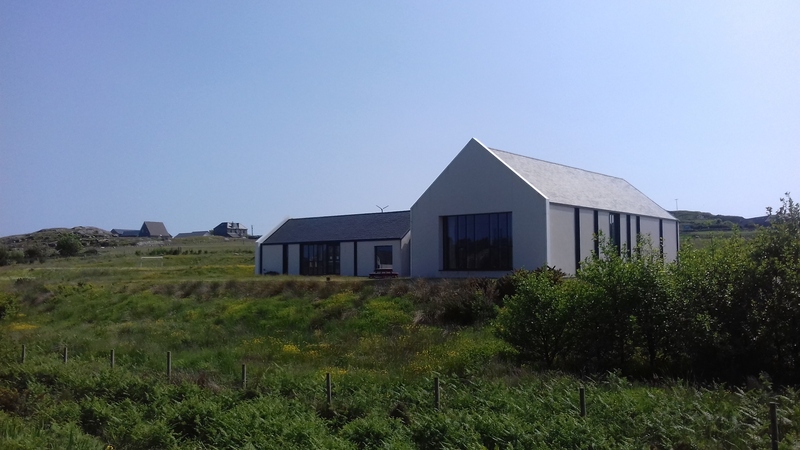 The Machair plays an important role in making Coll home to many rare species of flower such as the Bloody Cranesbill, Hebridean Spotted Orchid, Bell Heather, as well as many, many other species including Yellow Orchids. 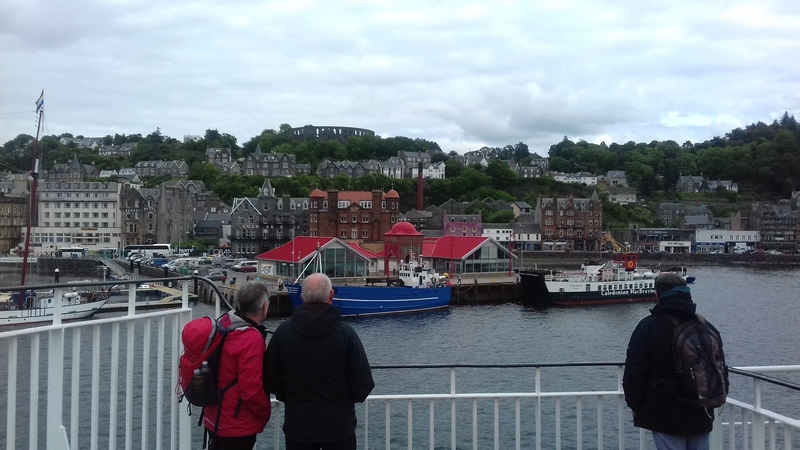 Our trip started with a 3 hour ferry trip from Oban at 7.15am, on the ferry “Lord of the Isles” (or LOTI as the locals call it!). 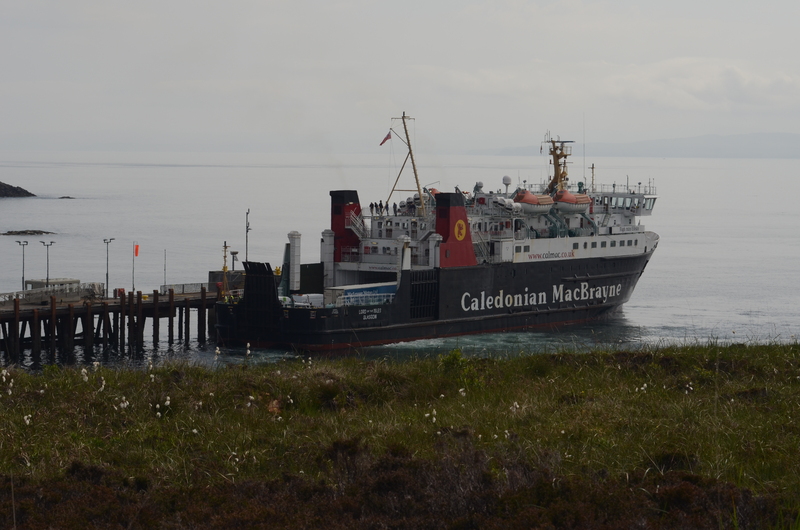 This was a smaller ferry than usual, since the other, much bigger one (“The Clansman“) was in dry dock having a propeller repaired. “Windswept & Interesting”…..well……windswept, anyway! Very early in the morning for a jazz musician!!! 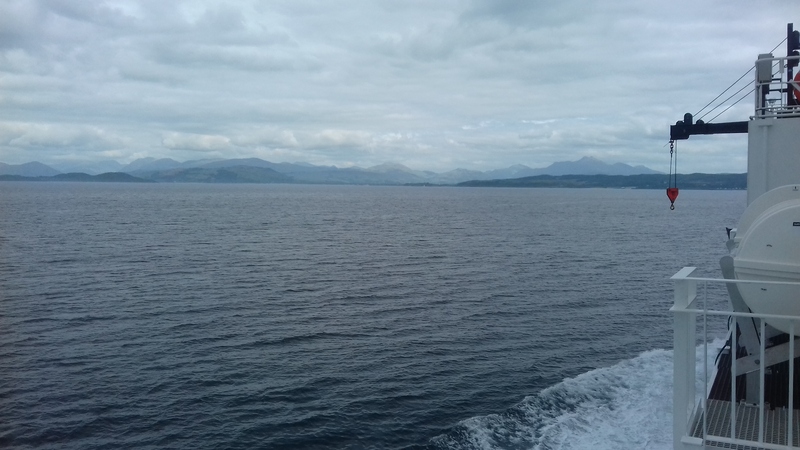 Starting to wake up……where’s Kate Winslet when you need her?! 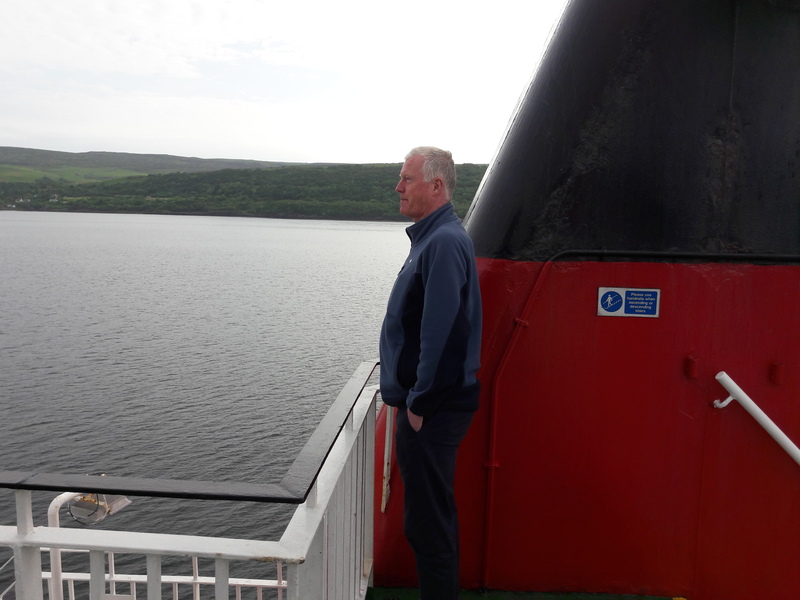 The journey was fine – the Sound of Mull was very, very calm as we sailed up past Tobermory. 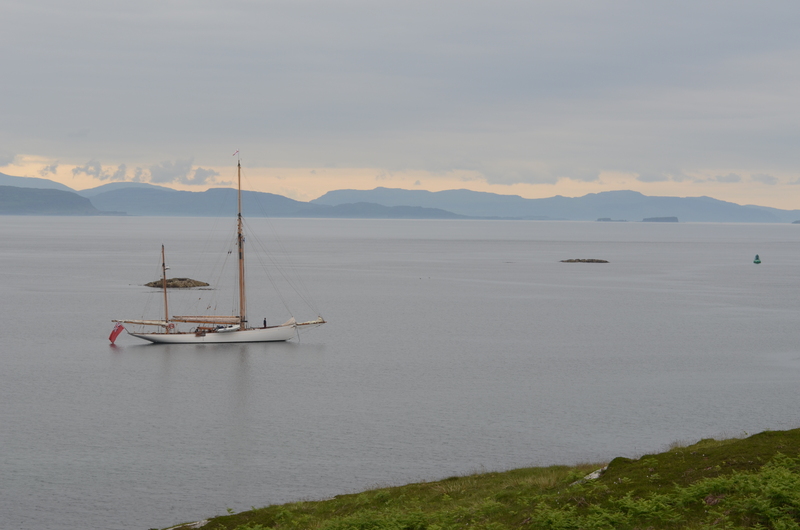 Our first sighting of Coll appeared as a very thin, low smudge of land in the distance. 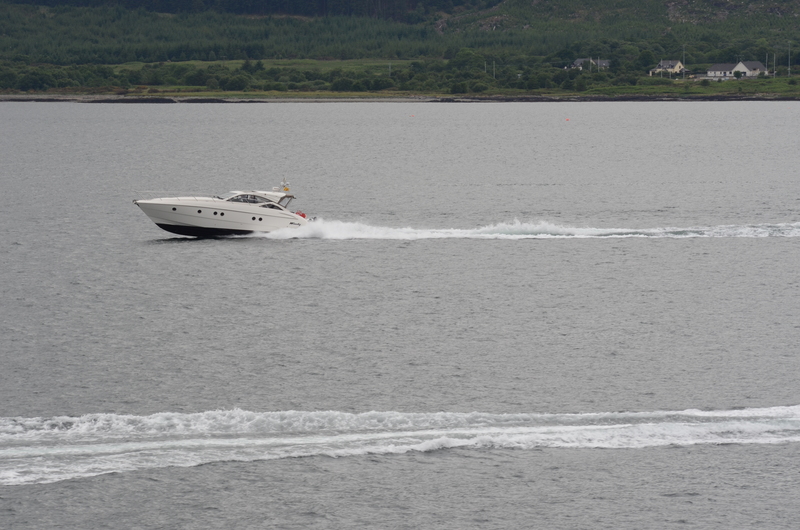 Then we were lucky enough to see a Minke Whale show itself twice (very briefly)! 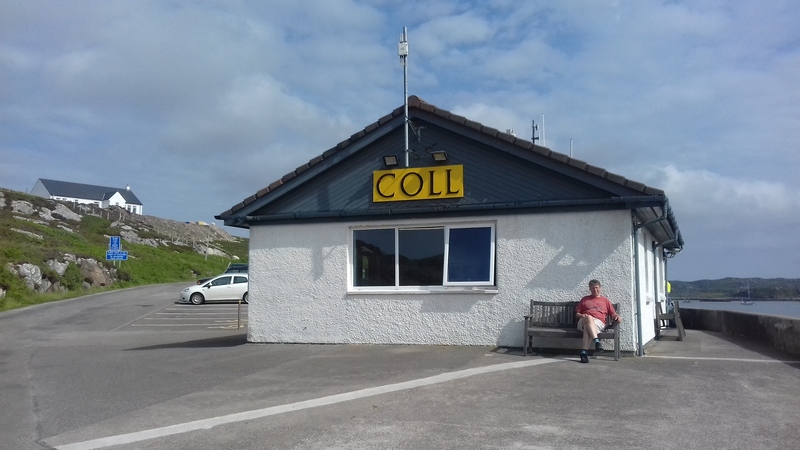 Our first sight of Coll! 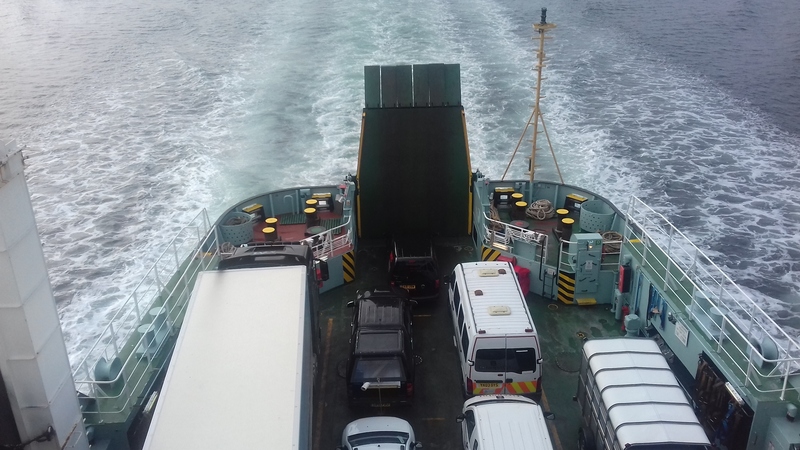 The ferry dropped us off and then carried on to the island of Tiree. 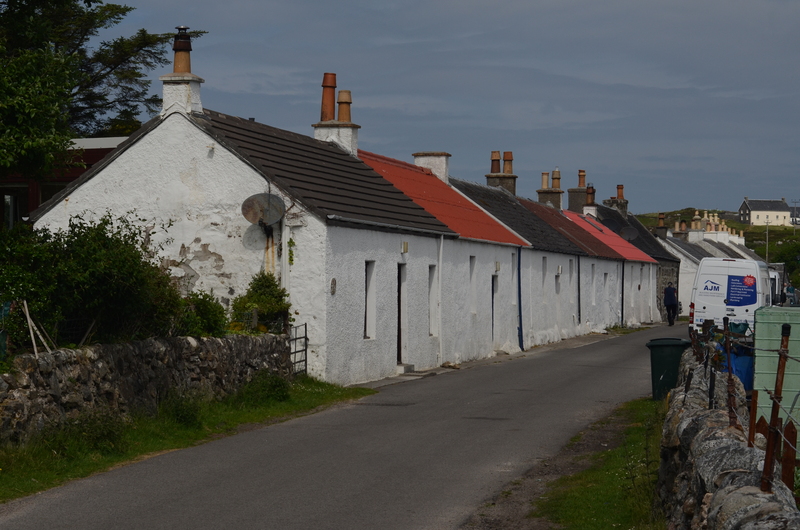 We drove the very short distance down to the main village, Arinagour. 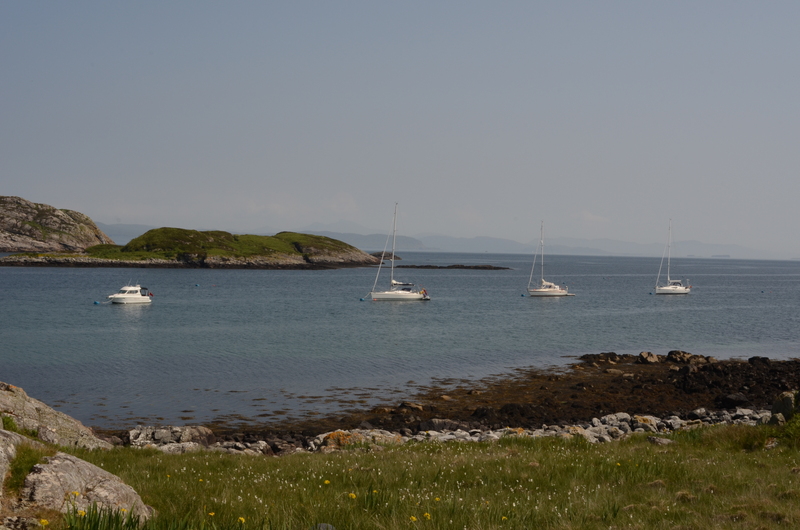 Our concert wasn’t until Saturday, so we had Wednesday, Thursday, Friday and some of Saturday to explore the island. 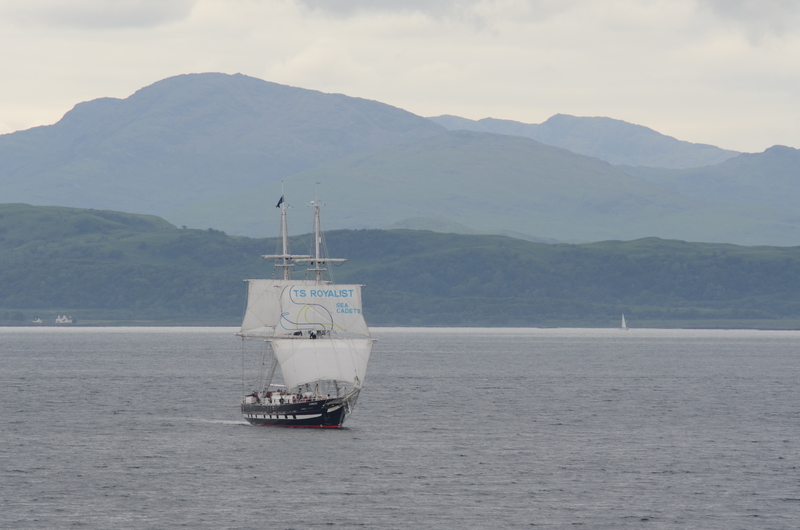 As you will see in all the photographs in this post, the weather was absolutely glorious! 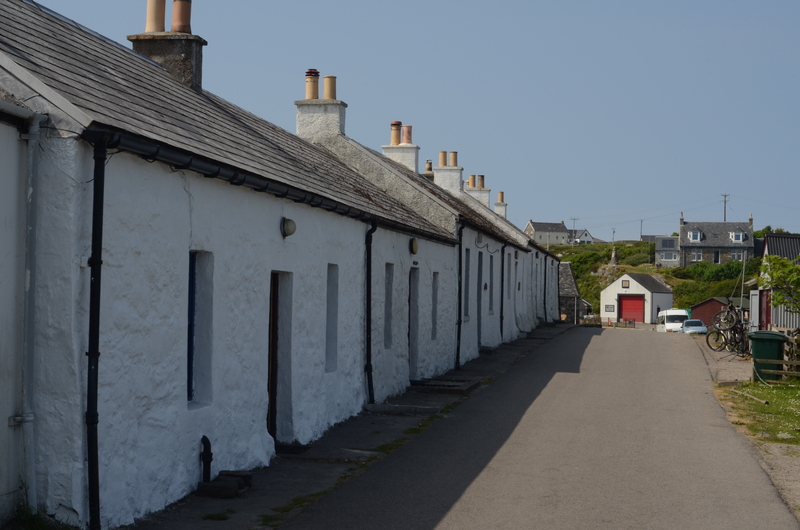 Shore Street (Main Street & Shore Street run along the same road and were originally built as estate workers cottages). 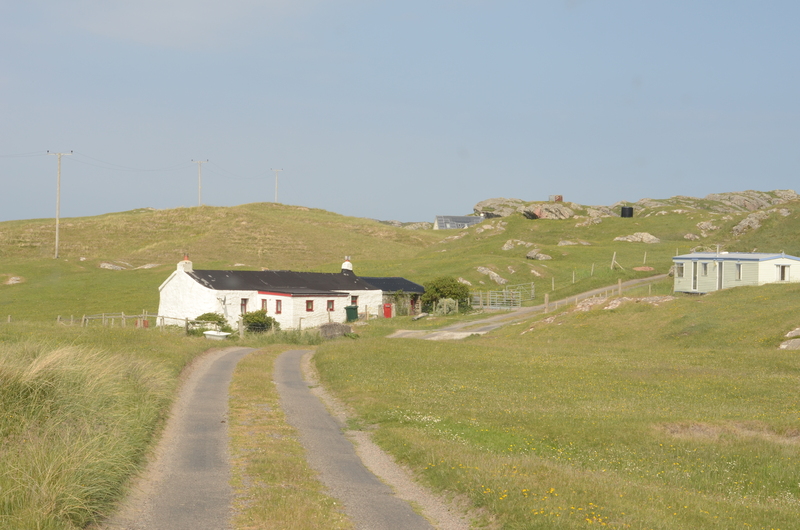 The white building with the red door in the distance is the fire station. 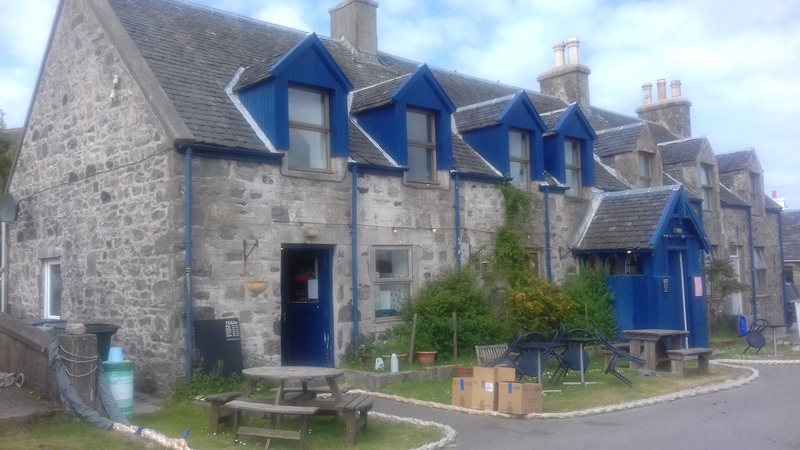 That’s T.E.S.Co, which stands for “The Ethical Sales Company”, selling ecologically sound cleaning products and some very nice wines, beers, cheese, jams, pickles, pates and lots more! 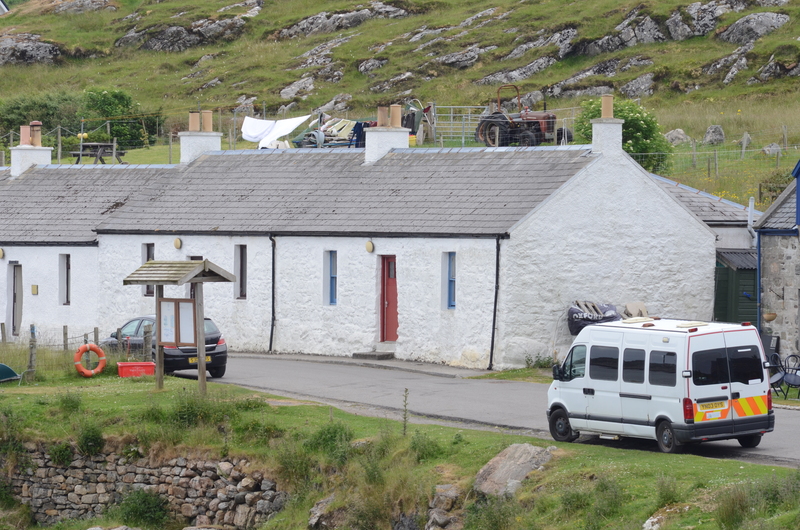 Next door houses the Island Cafe. Everybody we met raved about how good the food was here – and how generous the portions were! Tucked in just after this building, is the Post Office and The Anchorage Craft & Gift Shop. 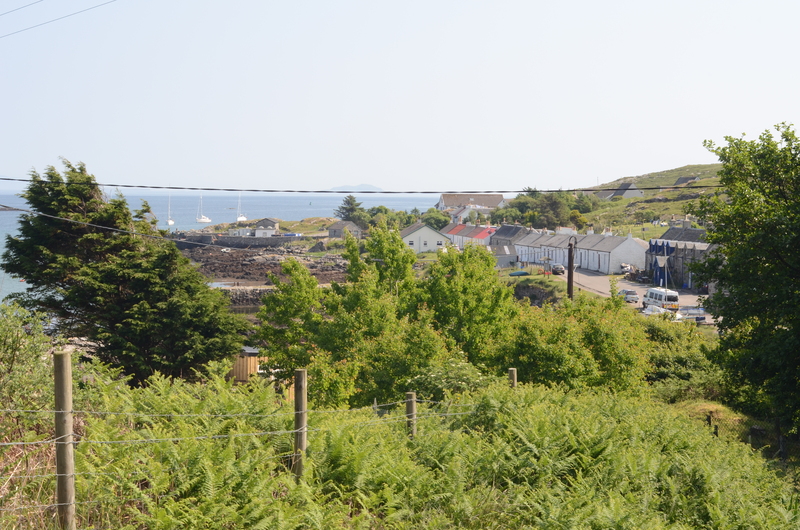 Whilst across the road is the Island Stores selling basic foodstuffs and other things you might need. All these shops are only open for a few hours a day though. 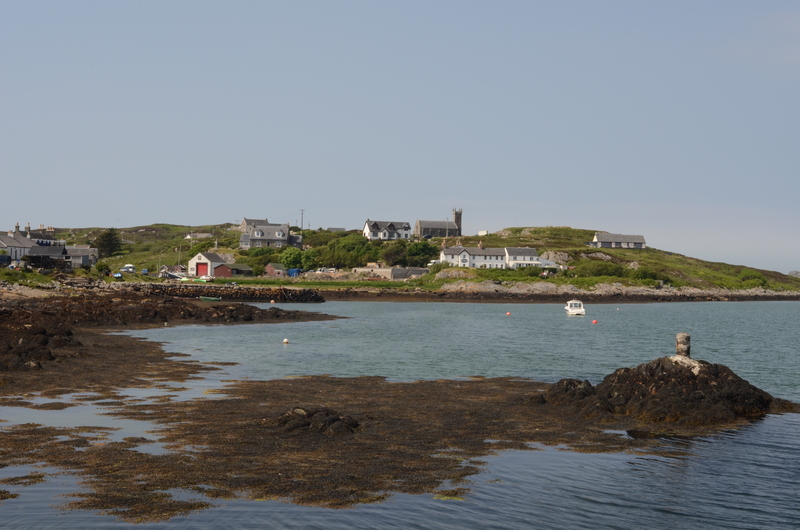 Arinagour from the Middle Pier. 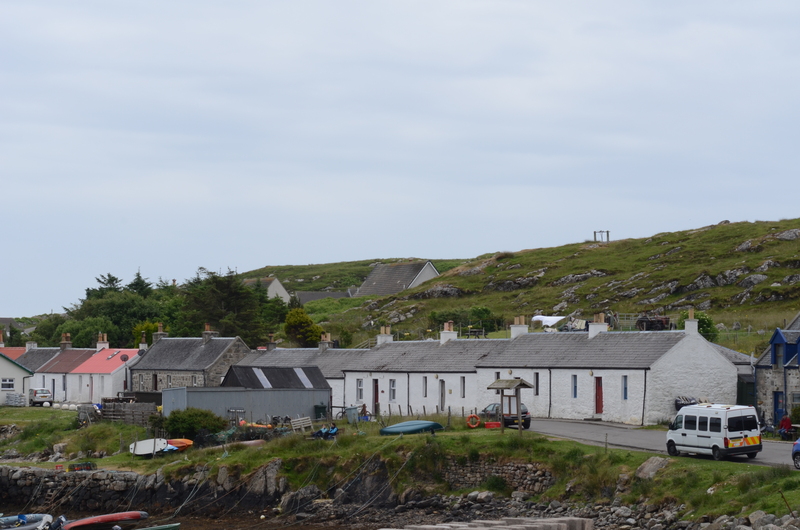 The long white building is the Coll Hotel. 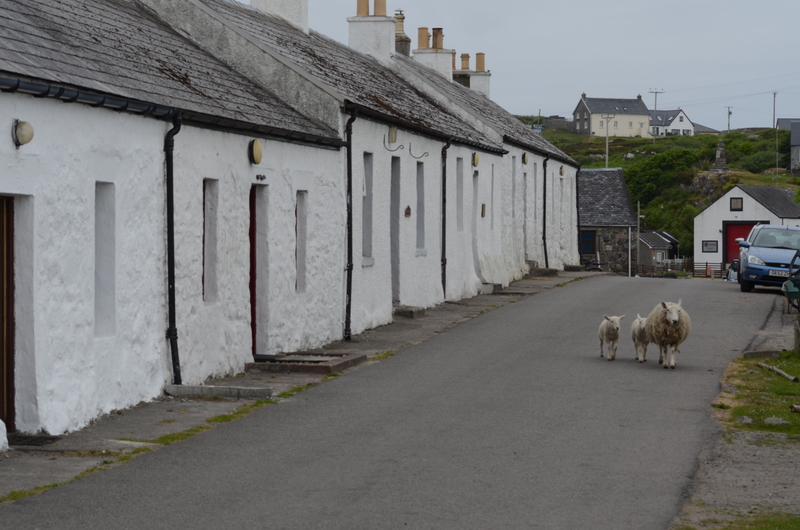 Rush Hour in Shore Street! 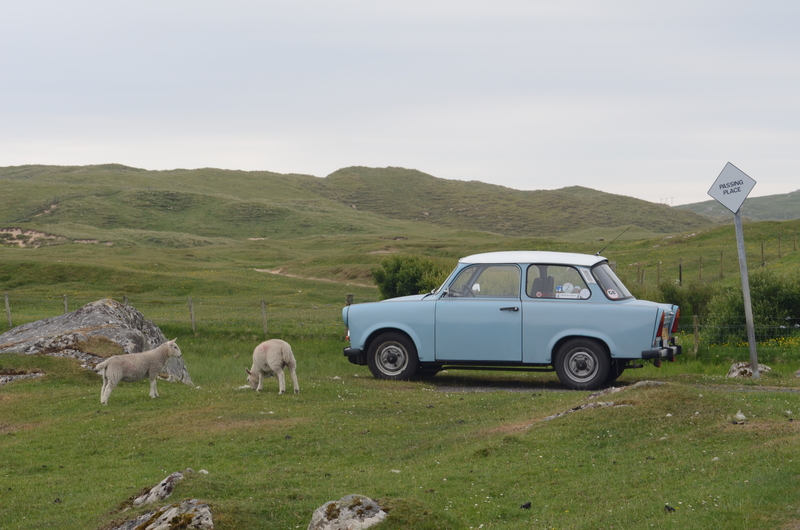 Not only is Coll a very beautiful island, but everyone we met was really friendly! I think its one of the friendliest places I’ve ever been to. 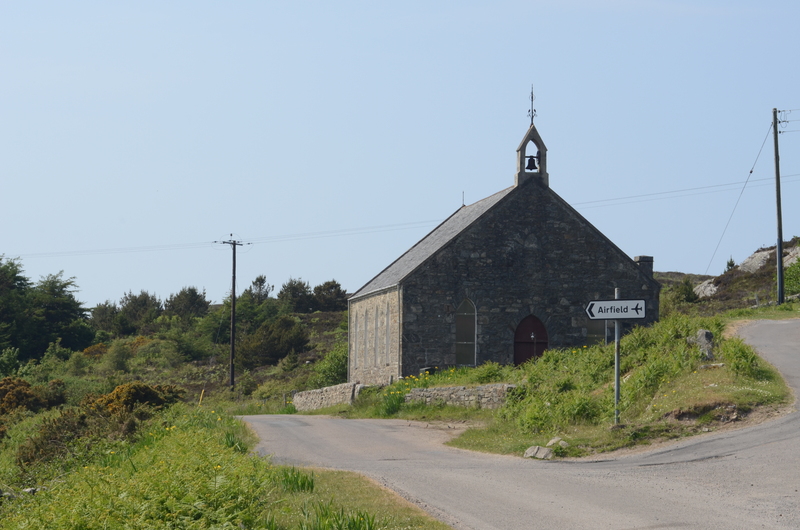 As soon as we arrived, we headed to the gig venue – An Cridhe (pronounced Cree-ah, the “d” is silent). Its a really beautiful venue (with great acoustics). 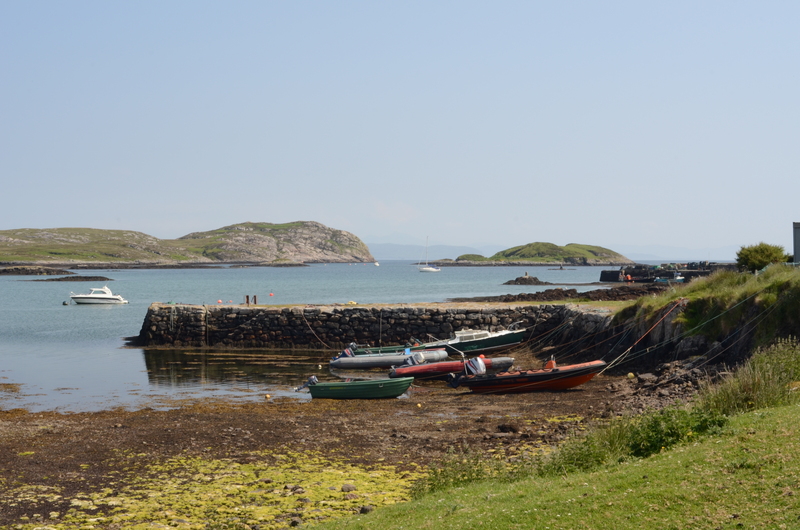 “An Cridhe” is Gaelic for “the heart” since it is the heart of Coll’s Community. 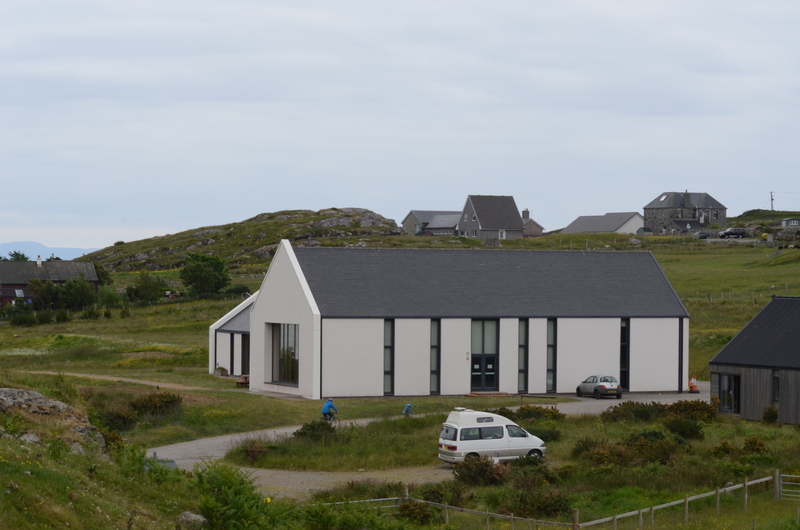 It is not only a centre for culture, however, it caters for the many different needs of the islanders and visitors. 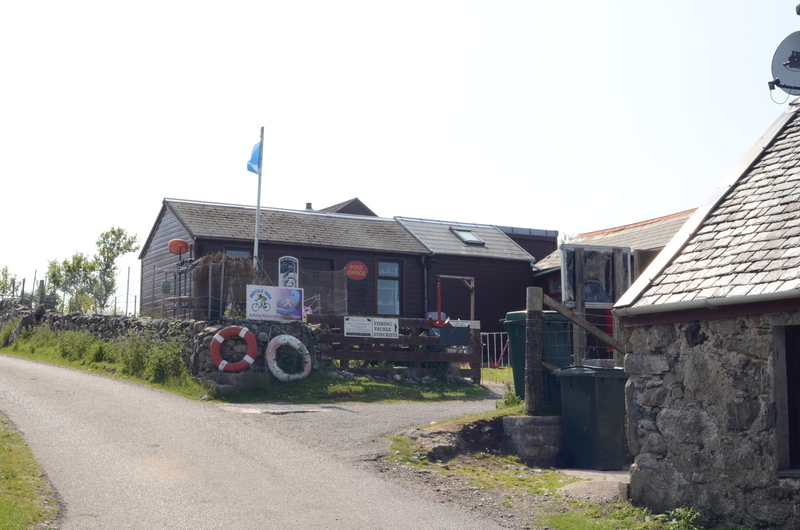 It is open from 9am to 9pm every day and has a sports hall, gym, reading room, Wi-Fi and IT facilities, laundry and a very nice showers and toilets area open 24 hours a day. 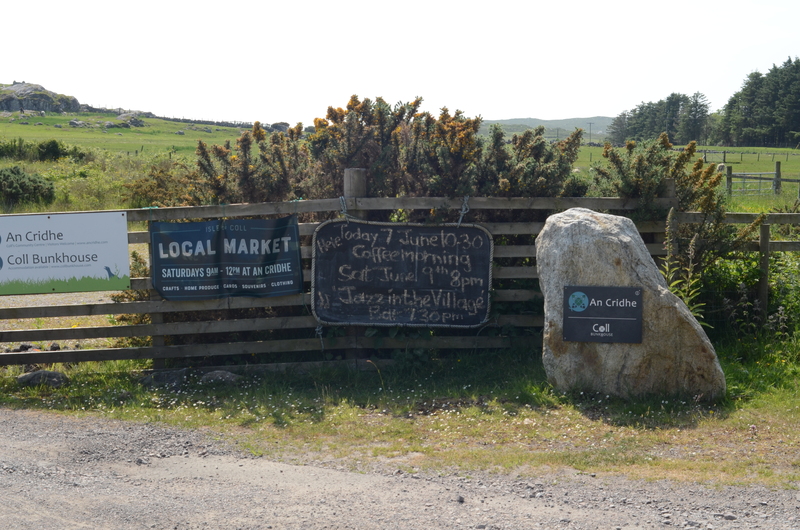 We met Jane Metcalfe who runs An Cridhe (and booked us to perform there!). They were having a drop-in coffee morning for anyone who wanted to come. Delicious home-baked scones and cakes! We were shown around and made to feel very welcome. 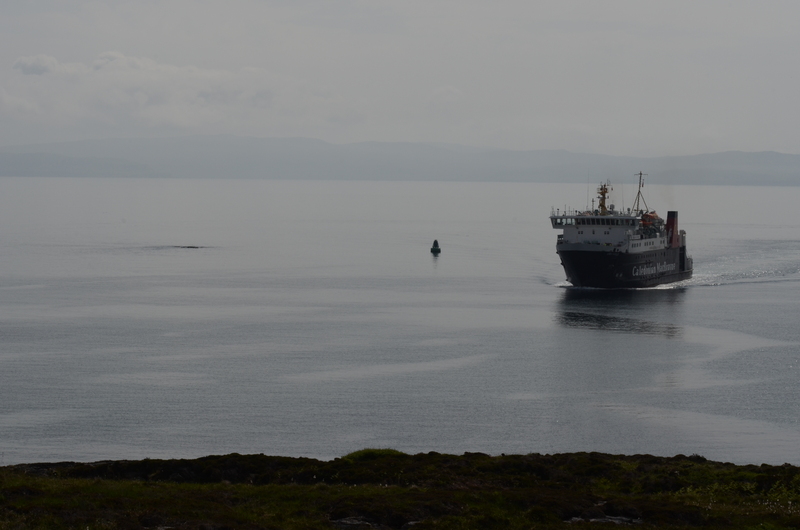 Some other visitors started to arrive. 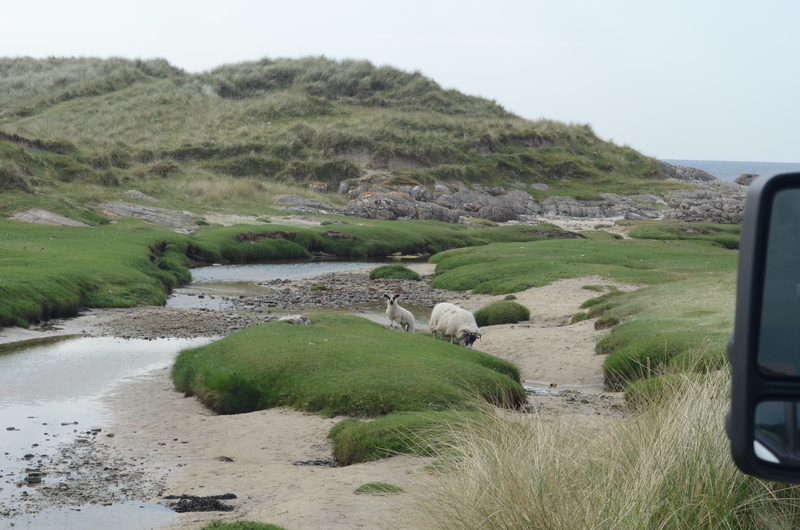 We met two from Gloucestershire who were cycling around the island. 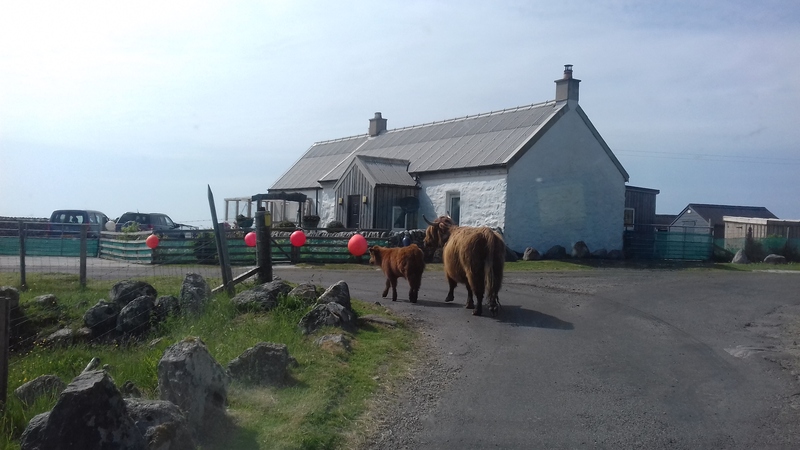 We were to bump into them a couple of times a day from then on! We headed off to explore some of the island since it still wasn’t even lunchtime! 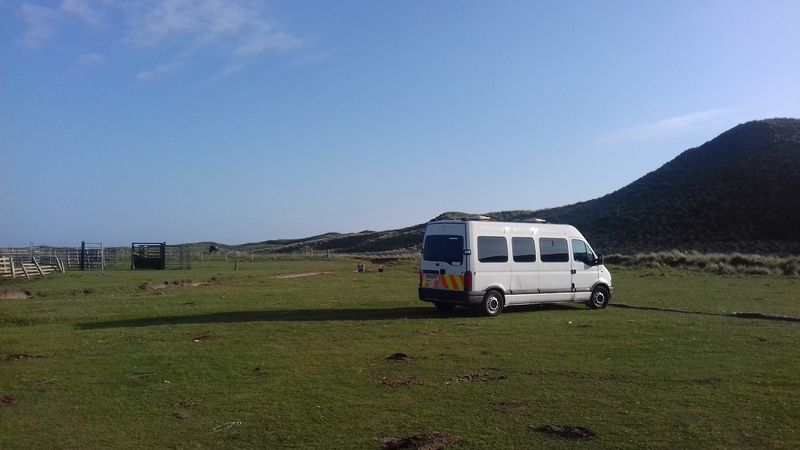 Our next port of call was the RSPB Car Park near Crossapol Beach on the south side of The West End of the island. 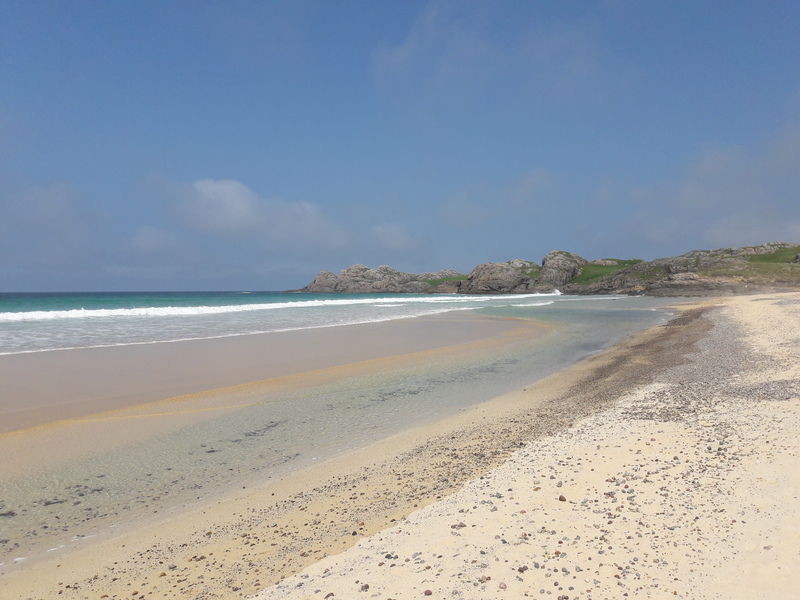 We had a continual chorus of Skylarks for company throughout the afternoon, and also heard our first Corncrakes (which sound like someone running their finger down a plastic comb). We climbed the hill for an aerial view. 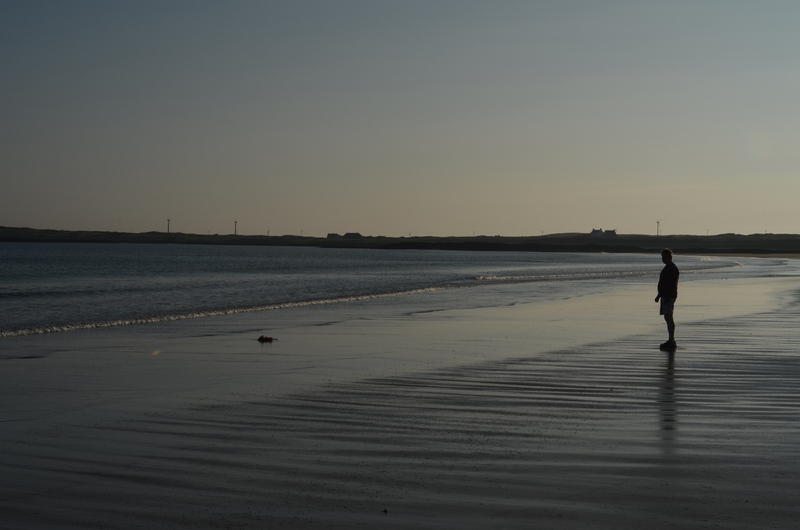 We walked down to Crossapol Beach, a beautiful and very large beach. It was deserted. 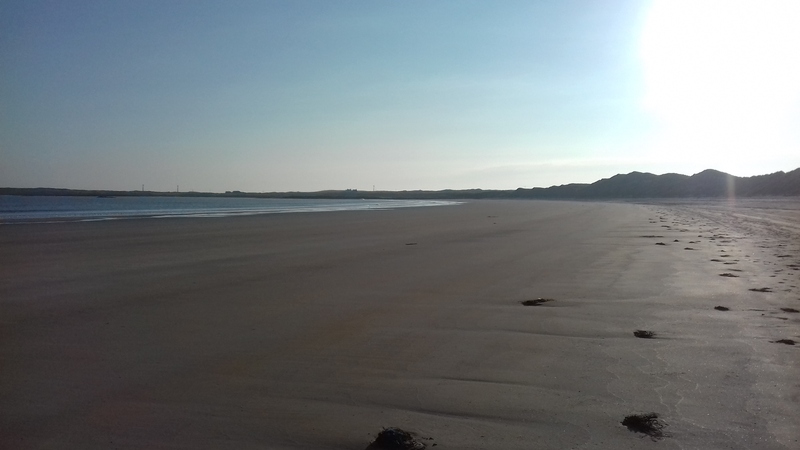 Where the tide had gone out, there were absolutely no human footprints! There were only the footprints of birds and Sea Otters! Amazing! 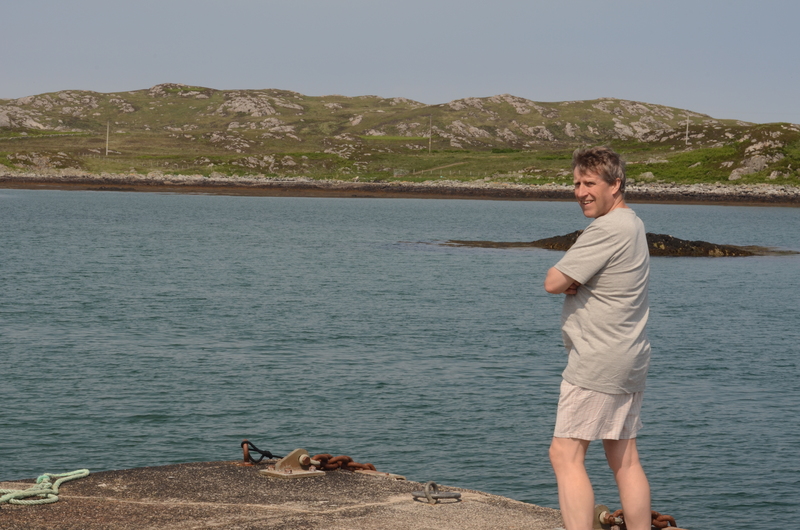 We returned to the area later that day, but first wanted to explore more of the island. 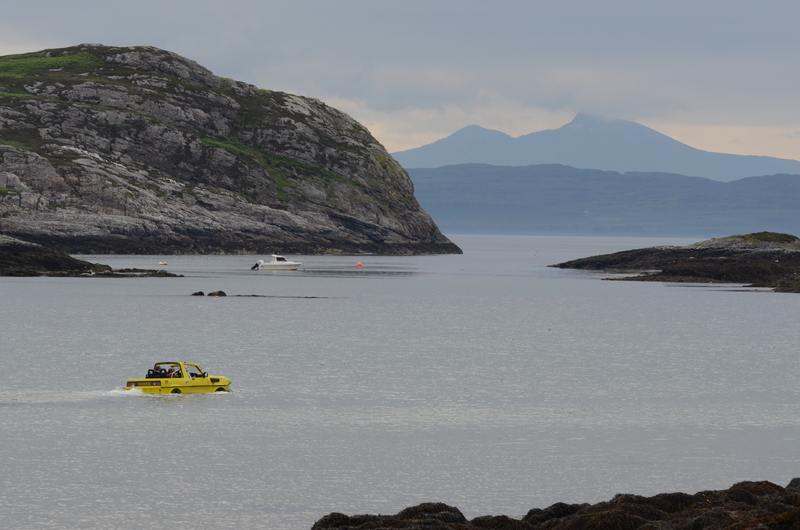 We headed up to the other RSPB Car Park near Hogh Bay (pronounced Ho). 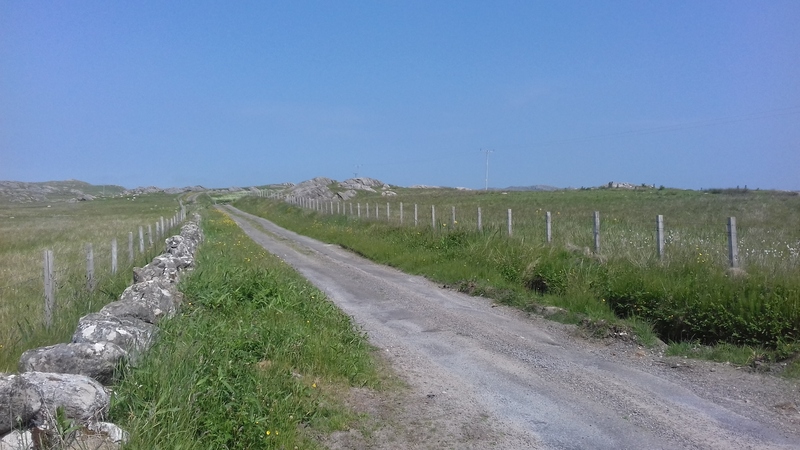 There was a viewing area for Corncrakes there, but we were never going to see them nesting in the long grass! We did hear them again though! 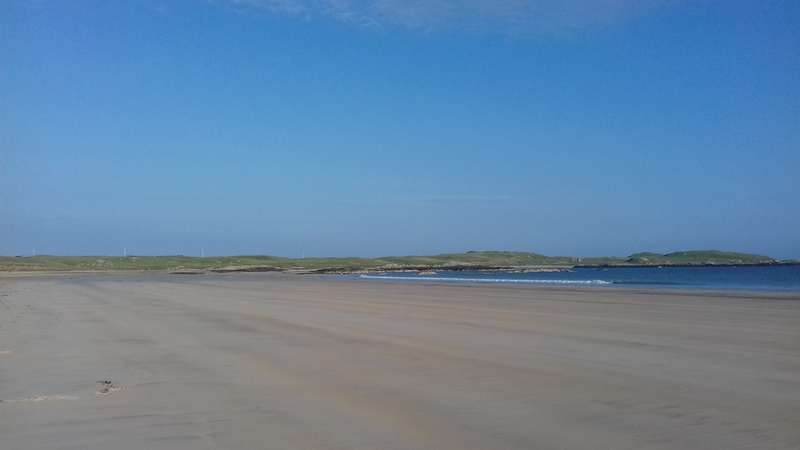 We walked along the sandy path to another beautiful, deserted beach. Have we got the whole place to ourselves?! Very nearly! 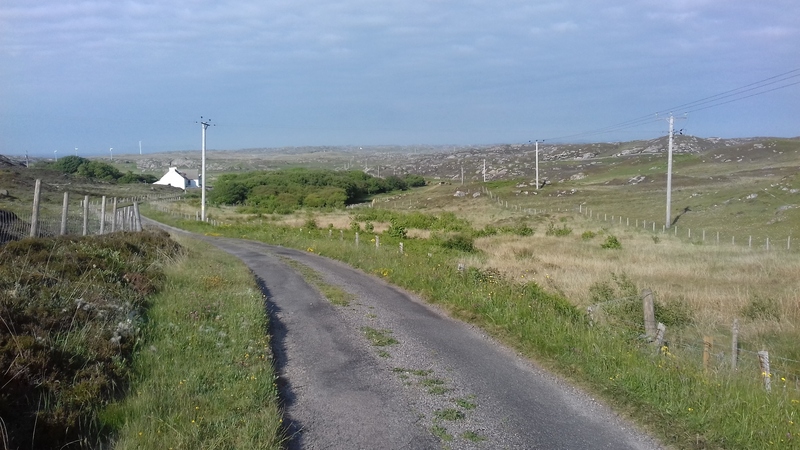 This time not only was there the constant beautiful backdrop of Skylarks, which sound a bit like someone trying to tune in on a short wave radio, but there were many Lapwings which flew all around us calling out. I presume they were nesting in the long grass near the path, and warning us off. They went silent as we continued on. 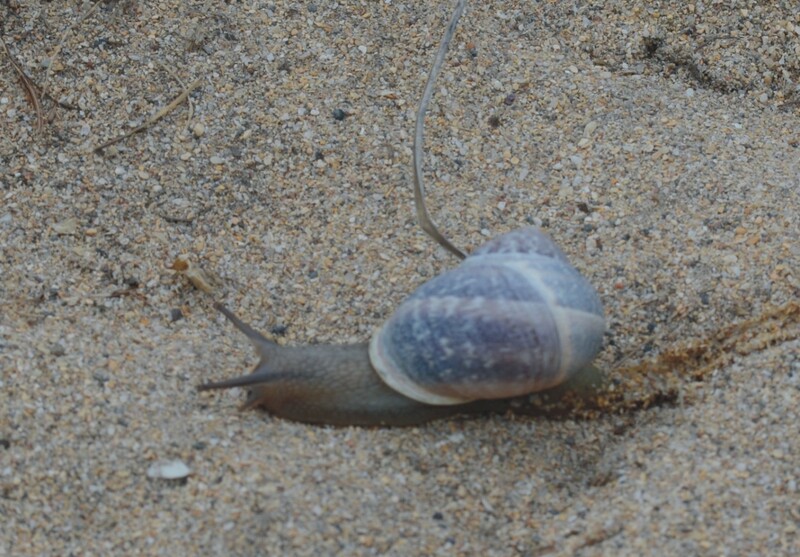 Sometimes, life at a slow, gentle pace is exactly right! Dom waits patiently for the photographer (me!) to hurry up and finish! 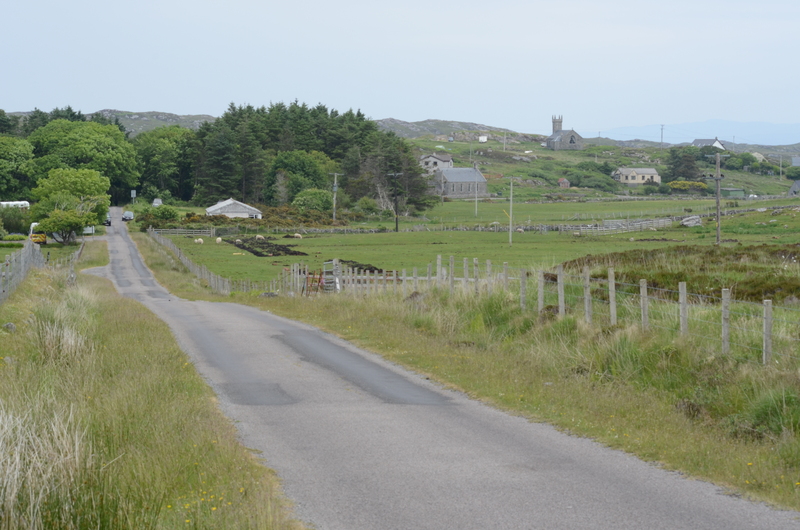 Later in the afternoon we explored the East End of the island – well, the part with the road. 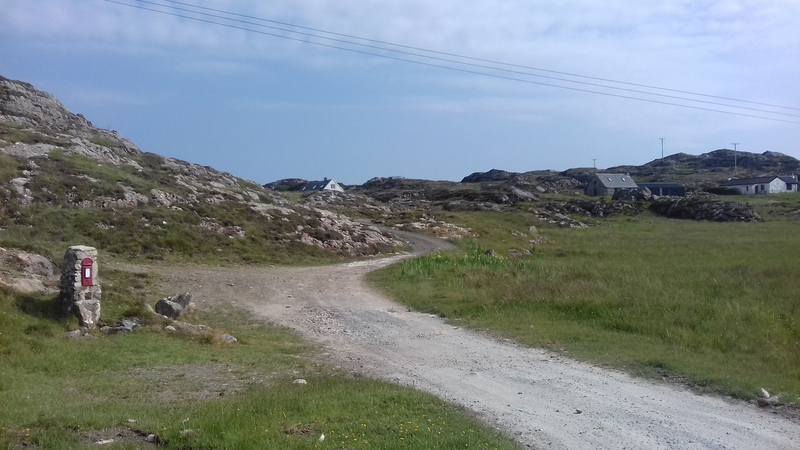 All the roads on Coll are single track roads with passing places. We didn’t get into 4th gear for 5 days. 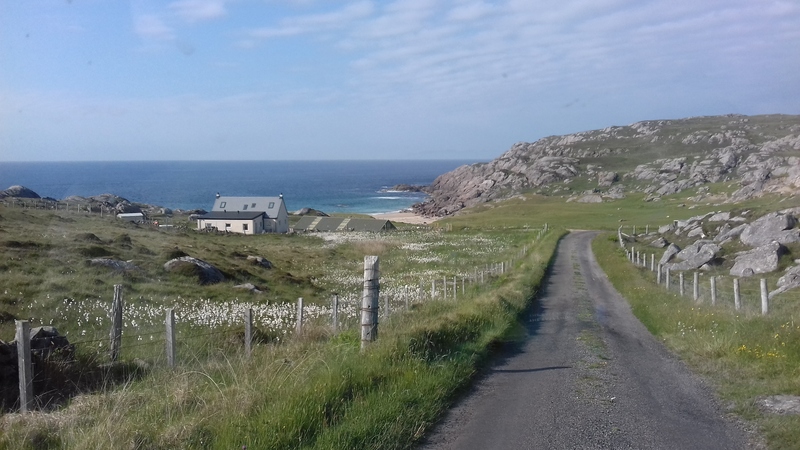 Hardly any traffic as we headed up towards Sorisdale. 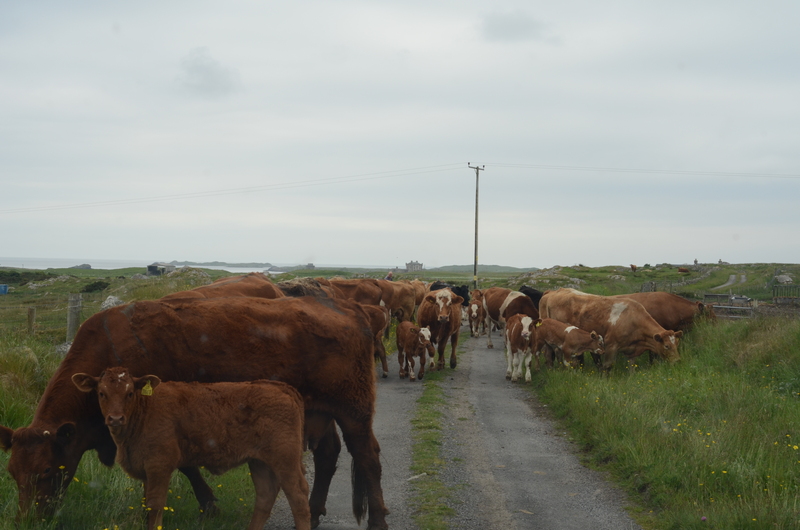 And then of course, we met with our first traffic jam! Luckily, we came to a dual carriageway! 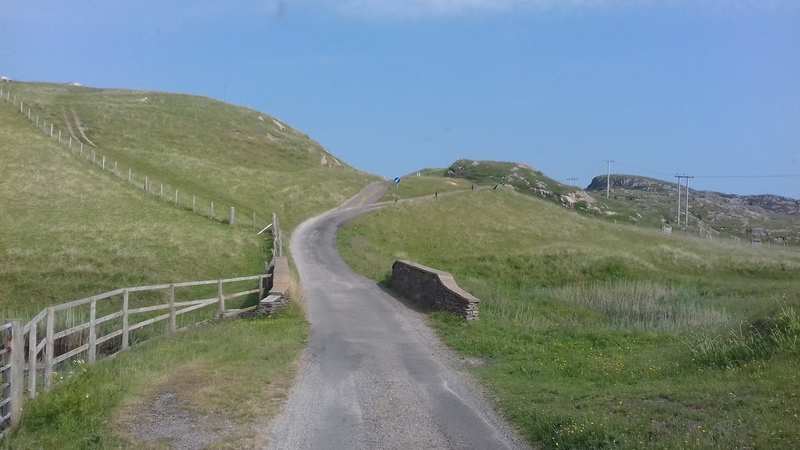 Here’s some other photos on the road to Sorisdale. 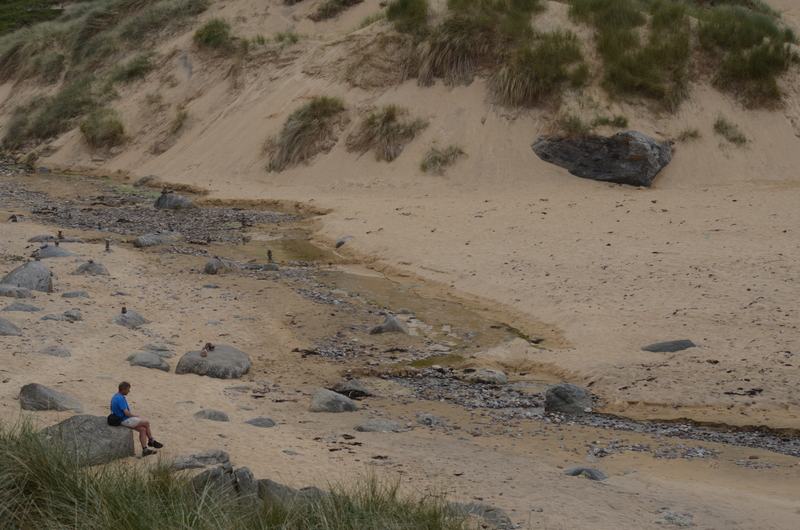 And on the way, we stopped and made some coffee at Red Rocks Beach – the only beach that is near a road. Heading back towards Arnabost and continuing to the end of the road. 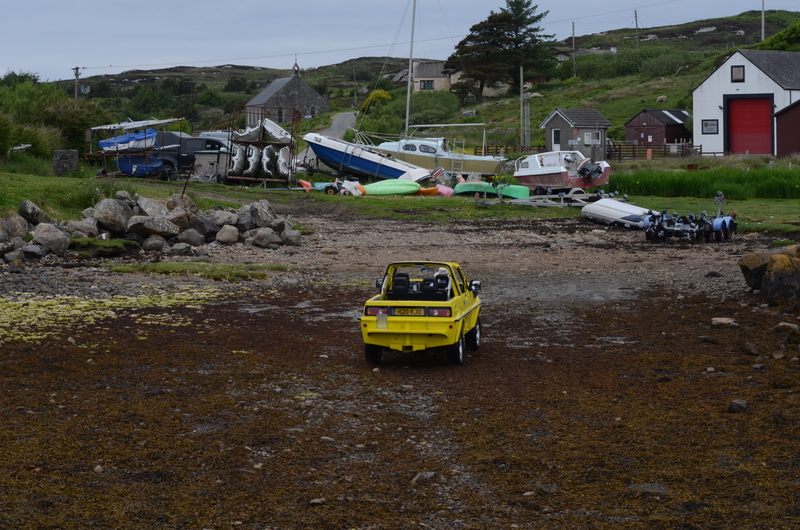 Its amazing the things you come across…..
An East German Trabant near the north end of Hogh Bay! 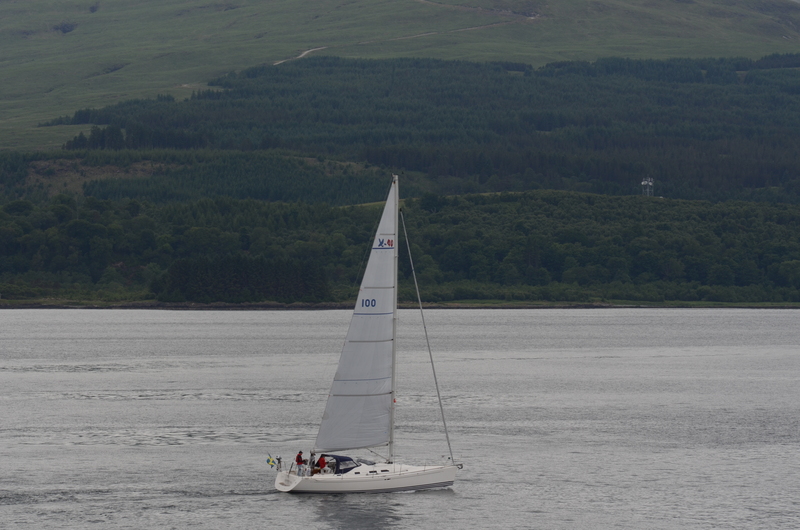 Actually, on the way home, they were on the ferry, and we followed them to Tyndrum where we stopped for coffee. 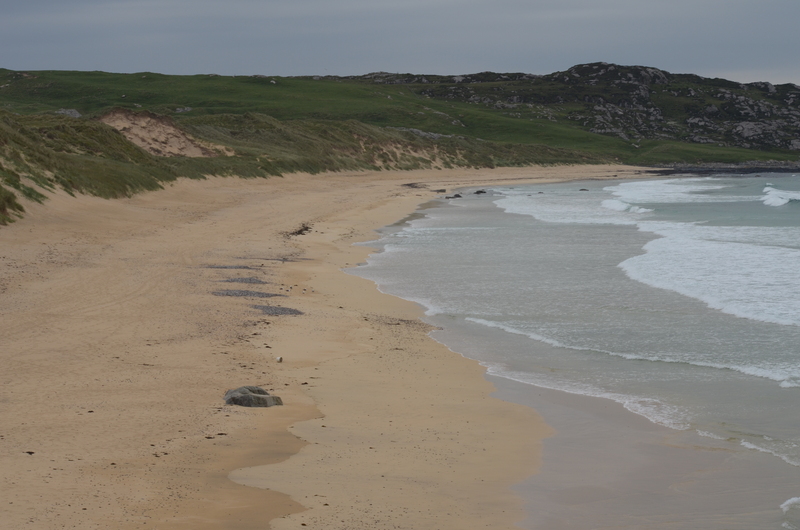 We headed back towards Crossapol and had a final walk along the deserted and beautiful Crossapol Beach. 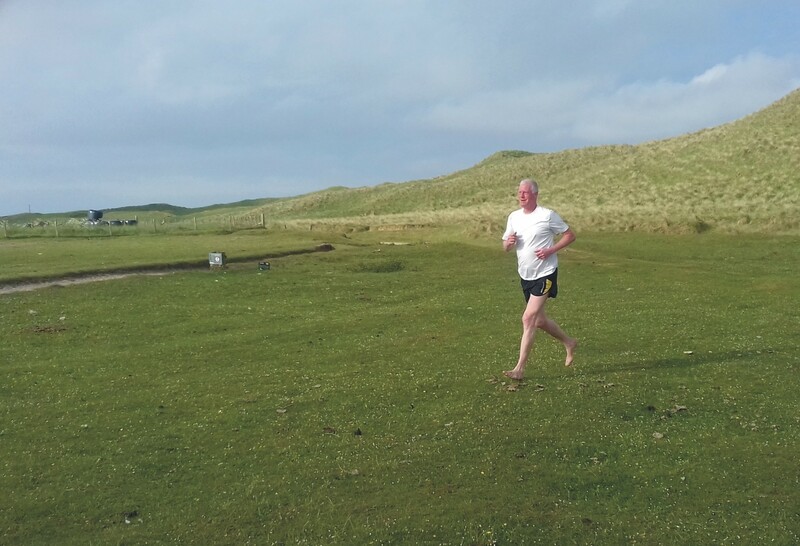 The next morning started with an early barefoot 4 mile run at Crossapol Beach. 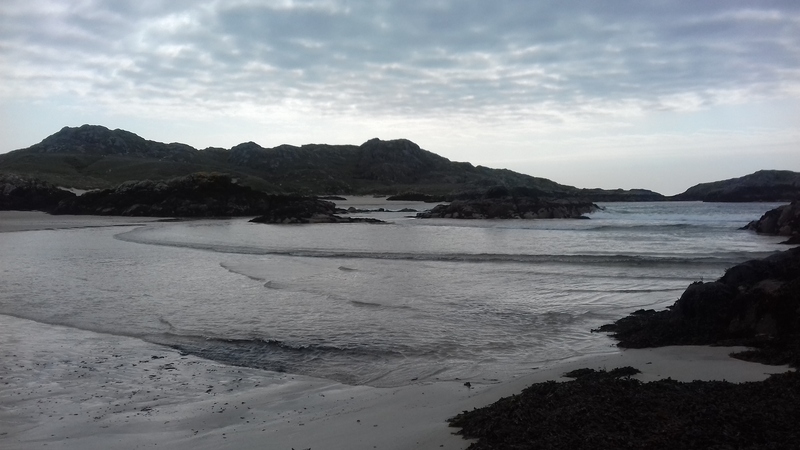 The next day, we went for a walk to Feall Beach (pronounced “foil”). 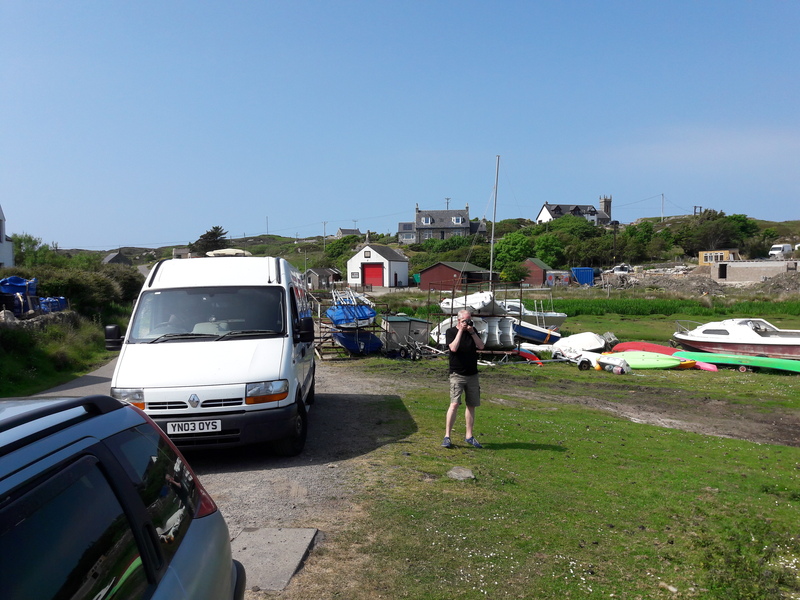 Again we parked at the RSPB Car Park near Crossapol. 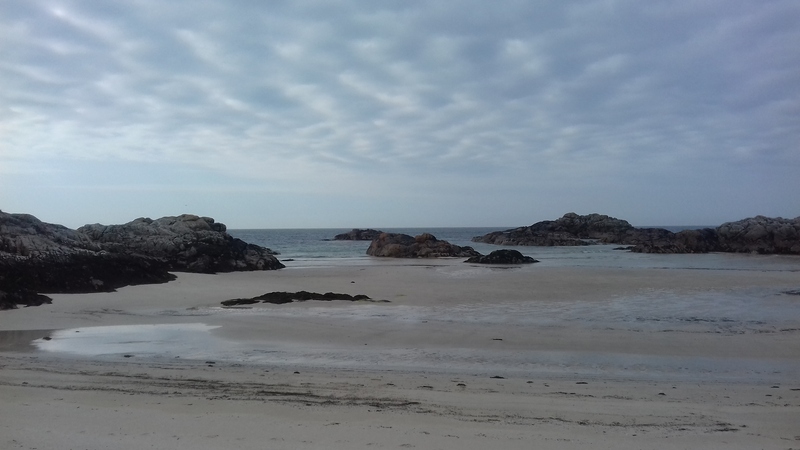 Feall is another beautiful beach with white sand and turquoise blue sea. We bumped into the two cyclists we had met the previous day. 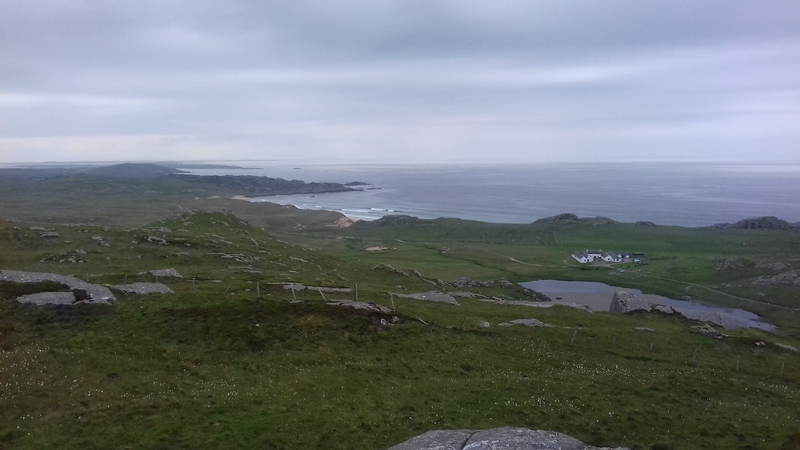 We climbed up to the top of Ben Hogh, the highest point on the island. 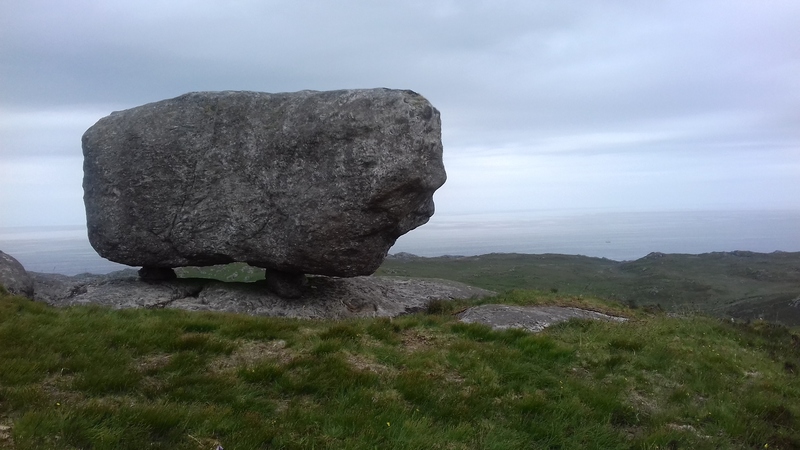 There’s an amazing rock near the top of Ben Hogh. It is perched on top of 2 or 3 stones. We headed back to Aringour for lunch. Jane (who manages An Cridhe) and her husband Tim, invited us to dinner that evening. She cooked us a delicious meal, then we headed off to bed, falling asleep before our heads touched the pillows! On Saturday, we had to get our heads out of holiday mode, and into gig mode! 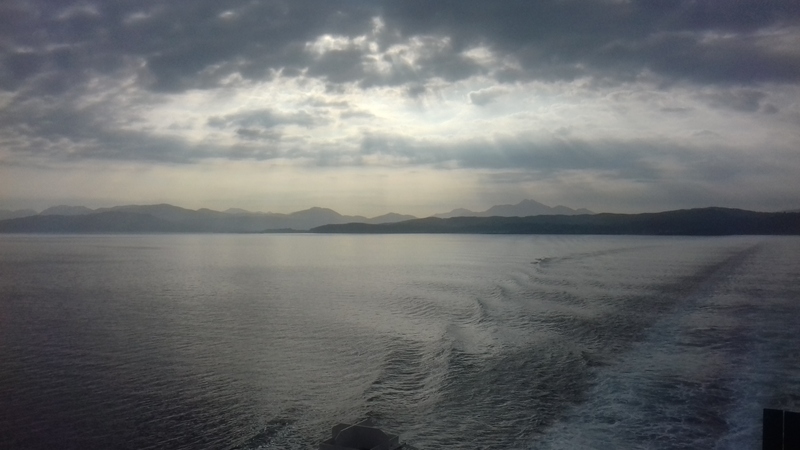 Sunday, our last few hours before the ferry home. 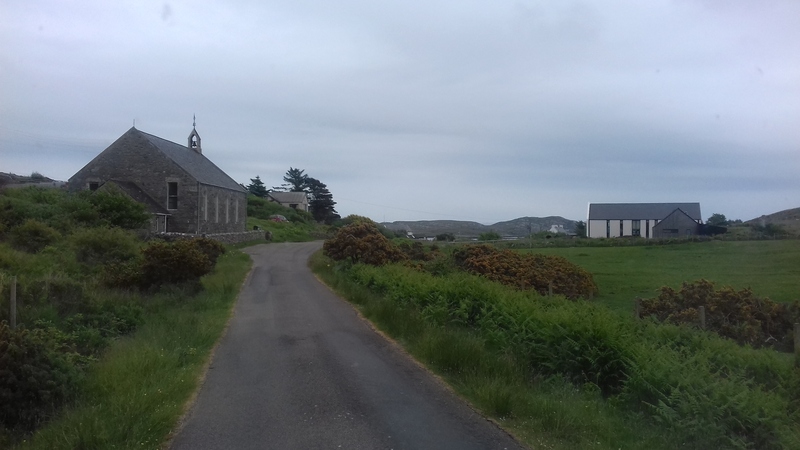 An early morning run out past the old village hall, now used for “RecyCOLL”, then back through Arinagour and on to the ferry terminal and back. A heron flew right across my path with a large branch in its beak for nest building. 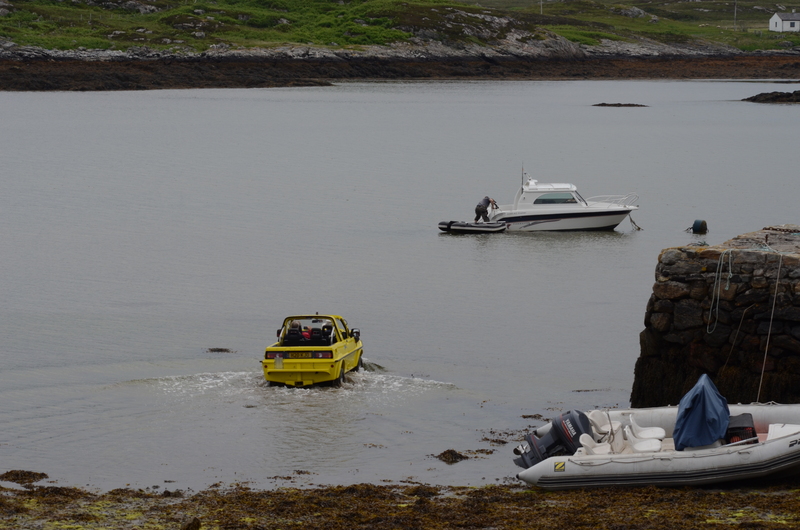 A yellow vehicle appeared. Was it a car? Was it a boat? Yes! 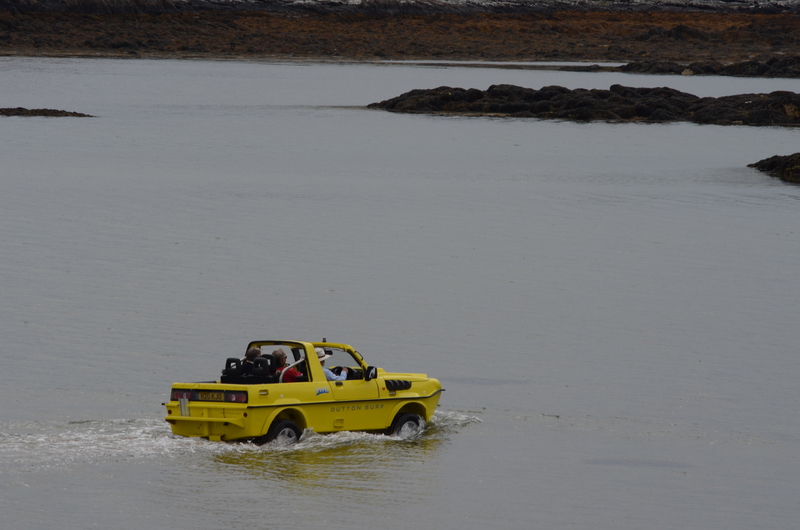 It was built (and driven/sailed) by the owner of the Coll Hotel. 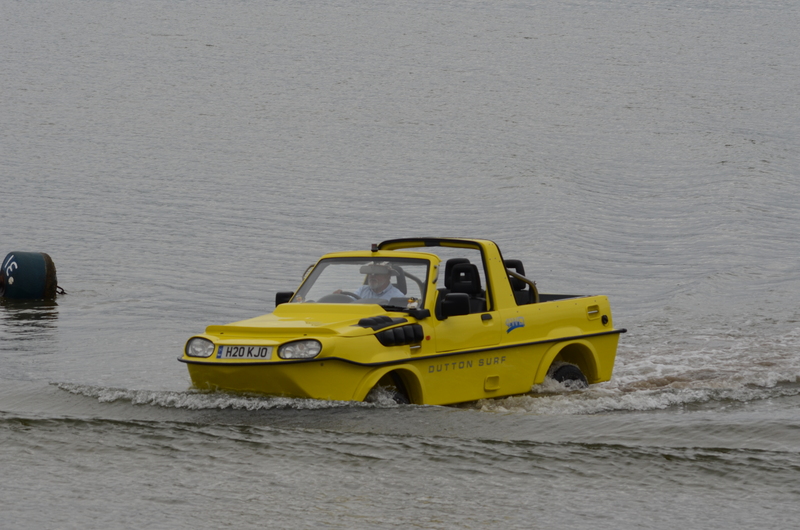 Disappointingly, it didn’t fly though! 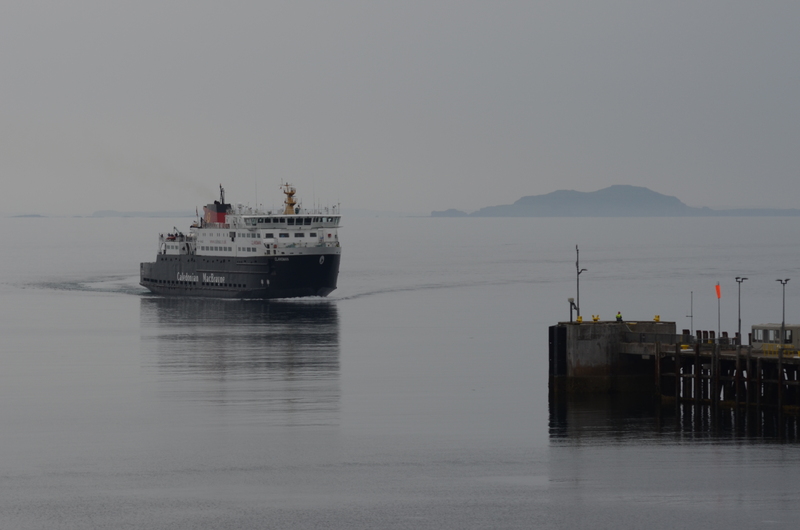 …..and then it was time for the ferry home. 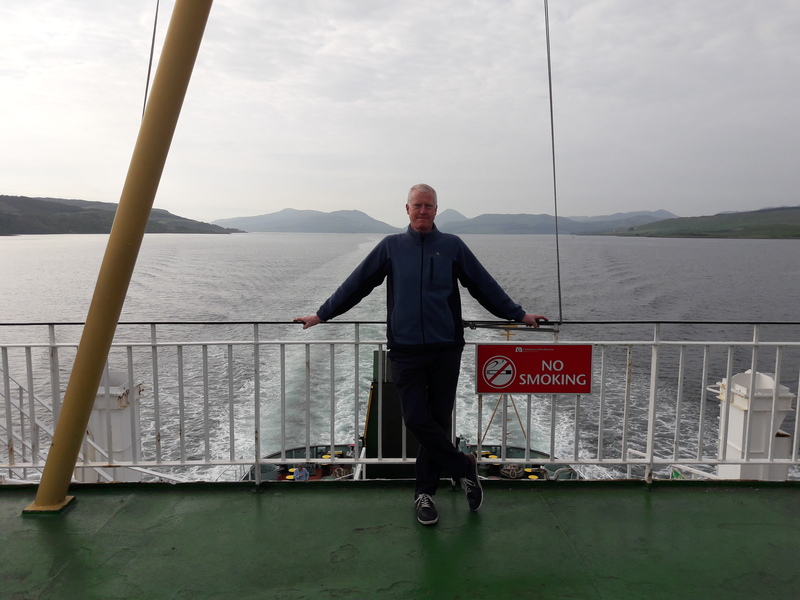 This time on the much larger “Clansman”. 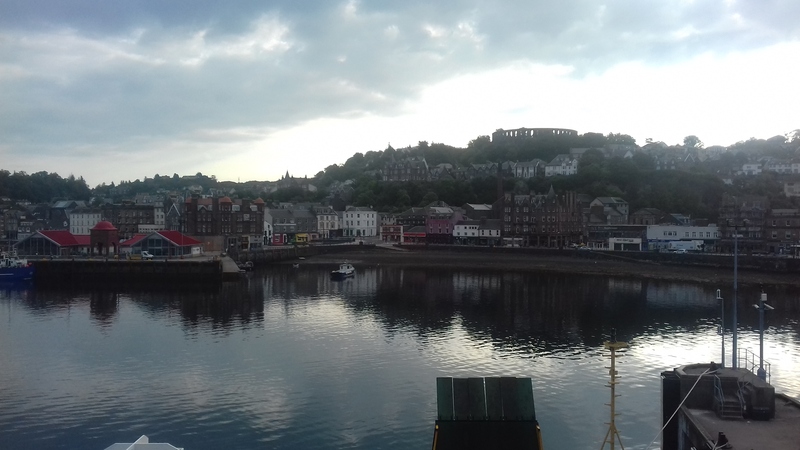 And having left civilisation behind, we arrive back on the mainland at Oban! We really miss Coll already. 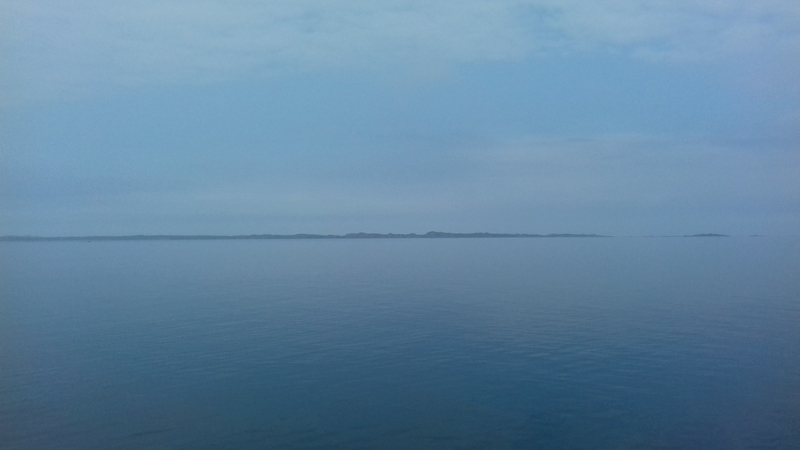 It is such a beautiful and tranquil island. And the people (locals and visitors) are very friendly. How lucky were we with the glorious weather too?